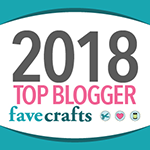 Previously, I’ve made video tutorials for the Chainless Starting Double Crochet, and for the Magic Ring, aka the Magic Circle. But I had a reader ask – can you combine the two? You betcha! 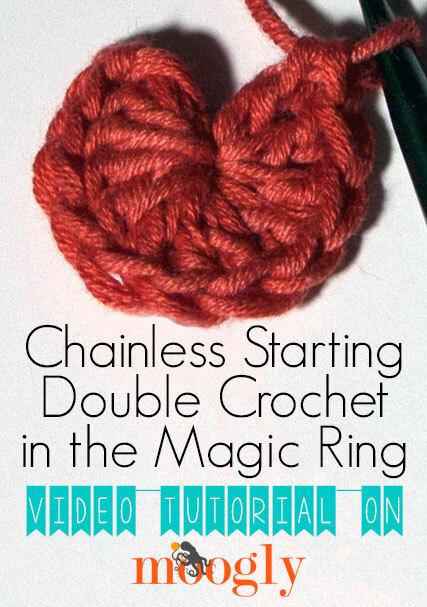 Here’s how to work the chainless starting double crochet in the magic ring! 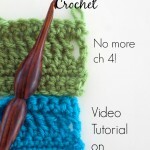 This tutorial was shot and filmed using LB Collection Cotton Bamboo and an H hook. 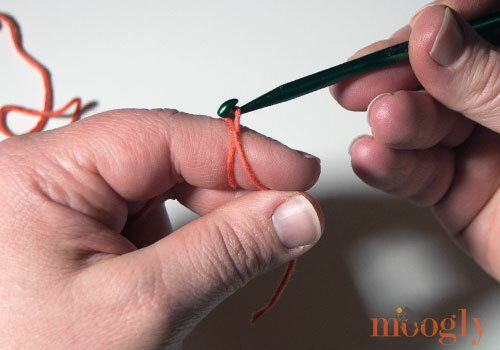 Working the chainless starting double crochet in the round is simple enough, and if you’ve mastered the magic ring then it’s really just a matter of combining the two! 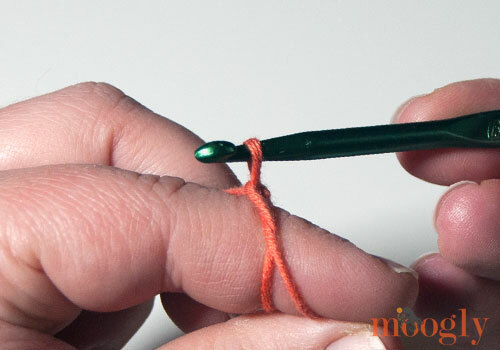 Start the Magic Circle as usual, then insert your hook under the outside loop, and grab the inside loop with the hook. Pull the inside loop just under the outside loop, and chain 1, snugging it down so it’s right at the surface of the magic ring. 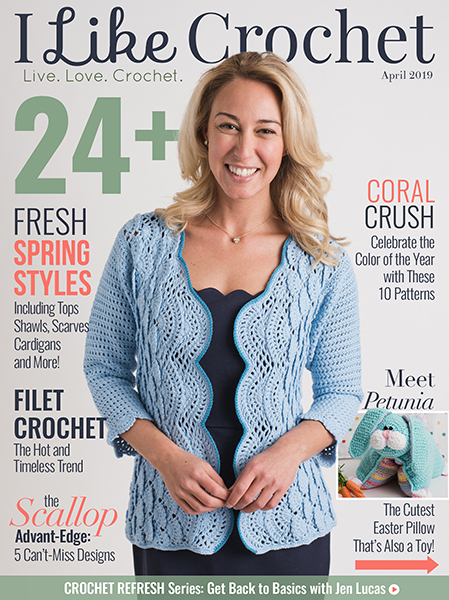 Pull the active loop up to the height of a double crochet. 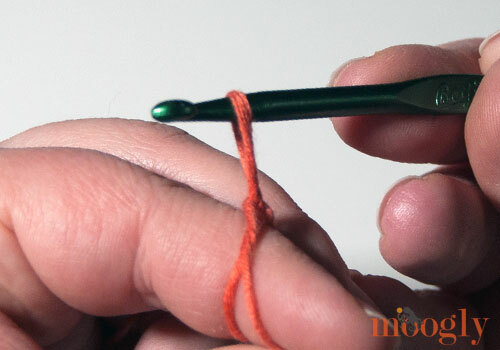 Carefully remove the hook and replace it in the loop from the other direction, and spin it back to crocheting position, to put a twist in the loop. 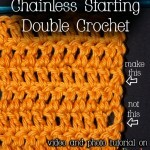 Work the chainless starting double crochet as usual. 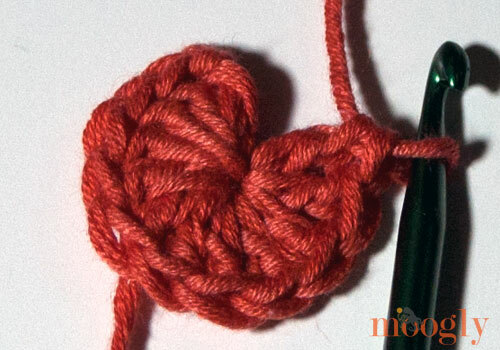 Continue with the rest of the standard double crochet stitches into the ring, being sure to go under both loops. And that’s all there is to it! I hope that cleared up any confusion! 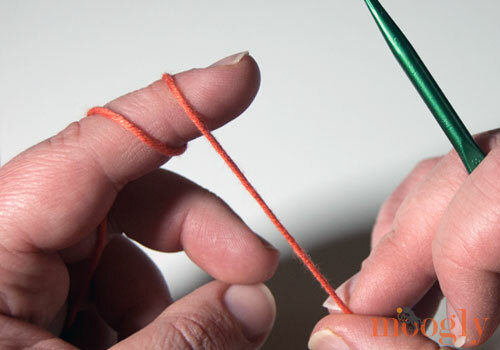 Being able to work the chainless starting double crochet in a magic ring opens up another great option when working projects in the round – and the more tools in the box, the better! 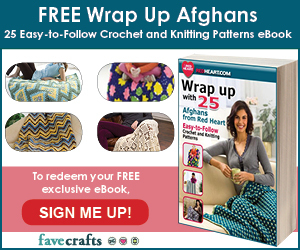 Is it possible to work with 2 strands, 1 jute and 1 yarn, and make this. 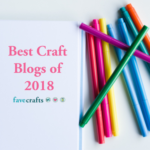 I want to do the dc throughout like you have shown and make a coaster. I was not sure if the spacing would work with 2 strands. 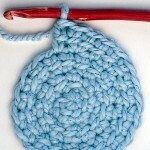 As long as you bump up the hook size as if you were using a thicker yarn (the total of those two strands) it should work great! Thank you so much for this very helpful tutorial.. i always liked your website! And I wanted to know that what type of yarn is it?? 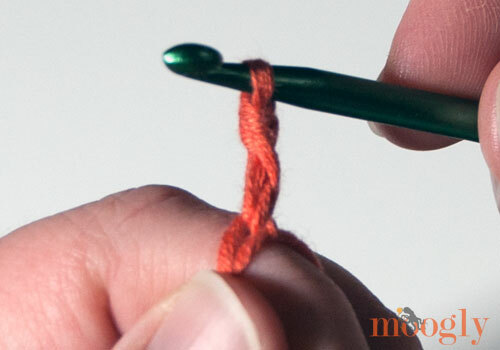 Would it be ok to remove hook, reposition it causing the initial twist like you do here, to your other tutorial? Your other video doesn’t say to do it. 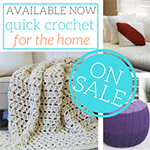 I’m wondering if it would help me make one if I did the twist part in a regular, non-circular double crochet row. 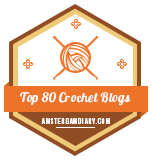 I was asking because I am left-handed and crochet right-handed. Ah, interesting! 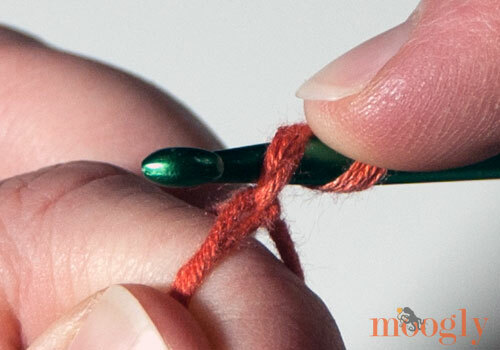 Do you remove the hook when you turn your work? I’m trying to get a mental image. I’m new to crochet and am trying to learn The Magic Circle. I’m having trouble closing the circle to go to the next round of stitches. I missed a step and can’t figure out what it is. Please help!